The Wisconsin Department of Transportation (WisDOT) is providing a weekly update on construction projects in the northwest region, which includes the counties of Ashland, Barron, Bayfield, Buffalo, Burnett, Chippewa, Clark, Douglas, Dunn, Eau Claire, Jackson, Pepin, Pierce, Polk, Rusk, Sawyer, St. Croix, Taylor, Trempealeau and Washburn counties. Construction related traffic impacts are subject to change and dependent on favorable weather patterns. Description: Crews will be marking pavement across the Northwest Region. Traffic impacts: Motorists can expect single lane closures along the impacted roadways. Description: Crews will realign the stream and replace structures along the roadway. Traffic impacts: WIS 48 is closed between County Highway V and 17th street. Local traffic can access residences from County Highway V.
Description: Crews will reconstruct and resurface the roadway. Utility work will also be done. Traffic impacts: Motorists can expect traffic shifts and lane closures. The Hammond and Knapp Street intersection is closed. Detour is signed. Description: Crews will replace the Red Cedar River Bridge. Traffic Impacts: South Main Street is closed. Description: Resurface and pavement marking. Description: Crews will perform resurfacing of the existing asphaltic pavement. Work also includes gradings and beam guard at the approaches to the bridges and pavement marking. Traffic Impact: Motorists can expect to encounter shoulder closures and temporary flagging operations during the beginning stages of the project. Description: Crews will mill and resurface the highway. Traffic Impacts: Motorists can expect to encounter flagging operations. Description: Crews will replace the bridge and install signing. Traffic impacts: County Highway K will be closed just south of the 107th street intersection. Description: Crews will prepare the work site by grading and placing base aggregate. They will then resurface and reconstruct the roadway. Traffic Impacts: County Highway Y will be closed between County Highway H and Panther Creek Road. Description: Crews will reconstruct Belknap Street (US 2) from Banks Avenue to Hill Avenue over two construction seasons. Work completed in 2017 included the west and east ends of the project from Banks Avenue to John Avenue and Birch Avenue to Hill Avenue respectively. The center section from John Avenue to Birch Avenue will be reconstructed in 2018. * US 2/Belknap Street - Single lane closures from Mortorelli Avenue to Ogden Avenue. * Signed truck detour and alternate route available to bypass project. Description: Crews will resurface the roadway and construct a restricted U-Turn at County Highway L.
Traffic impacts: Motorists can expect single lane closures and regulatory speed limit changes. Description: Crews will remove and replace the 3-span bridge over the abandoned Soo Line railroad. Traffic Impacts: The road will be closed within the project limits. No detour will be posted. Description: Crews will make repairs and improvements to the Red Cedar River Bridge. Traffic impacts: Motorists can expect traffic shifts and lane closures for the duration of the project. Description: Crews will remove, replace, and make various improvements to the existing roadway. Traffic impacts: I-94 is currently open to two lanes in each direction. Westbound traffic is running on the existing alignment with segments where traffic is shifted to the shoulder. Eastbound traffic is running on the temporary roadway. The speed limit is reduced to 60 MPH. Description: Work performed under the contract includes grading, paving, and the implementation of roadway safety features. Traffic Impacts: Main St. and 13th St. will be closed for the project’s duration. No detour route will be provided. Local access will be maintained. Description: Crews will make improvements to the roadway. Description: Crews will replace the County Highway I and Hobbs Road bridges. Traffic impacts: County I bridge will be closed to through traffic throughout the duration of the project. Hobbs Rd Bridge will remain open to traffic until the County Highway I Bridge is complete. Access will be maintained for all landowners. Motorists can expect single lane closures along I-94 throughout the duration of the project. WB: Monday, October 1st at 6:00 a.m. – Friday, October 5th at 12:00 p.m.
EB: Monday, October 1st at 6:00 a.m. – Friday, October 5th at 11:00 a.m. Description: Crews will remove and replace concrete along WIS 37 and at the intersections of Short Street and Craig Road. Traffic impacts: Motorists can expect single lane closures, traffic shifts, and temporary traffic signals. Description: Bridge rehabilitation, concrete surface repair, joint replacement, floor repair, polymer overlay. Traffic Impacts: US 10 will be reduced to one lane in each direction. Motorists can expect delays for eastbound traffic, width restrictions and delays for westbound truck traffic. Description: Crews will replace the Weyerhaeuser Creek Bridge. Traffic impacts: Motorists can expect single lane closures, temporary traffic signals, and width restrictions. Description: Crews will replace the Main Creek Bridge. Traffic Impacts: Road closed between County Highway P and Circle Road. Description: Crews will replace the Little Jump River Bridge. 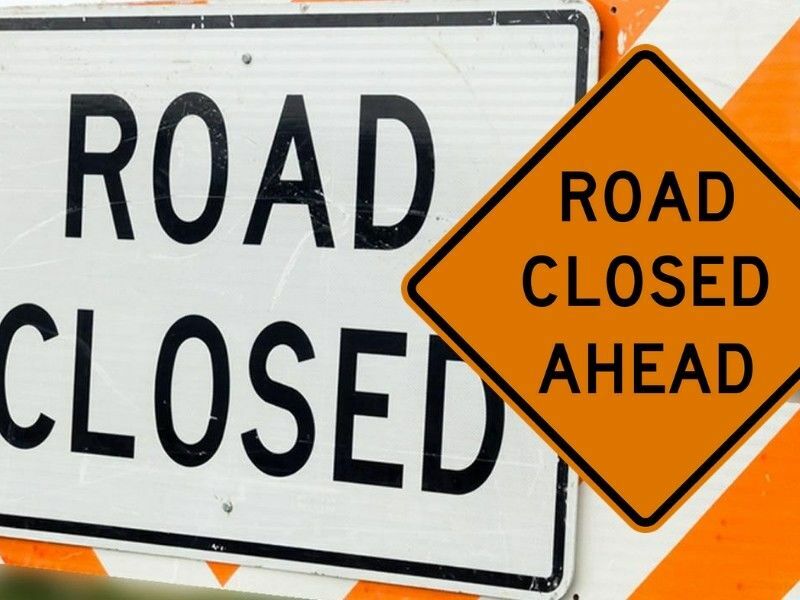 Traffic Impacts: County Highway V will be closed between Cemetery Road and Poplar Road for the duration of the project. Description: Crews will replace the Brunet River Bridge. Traffic Impacts: A temporary bypass structure will be placed to accommodate traffic. Because Hanson Road is a dead end without permanent residences, no traffic impacts are expected. Description: Crews will upgrade and replace roadways, widen and replace bridge decks, lay concrete, and make various improvements to the roadway. Traffic impacts: Motorists can expect single lane closures, lane shifts and ramp closures throughout the project. Motorists can expect speed reductions. All ramp closures will have detours posted. Most lane closures will take place during the night. Description: Repairs to the Wisconsin bluff. Traffic impacts: Traffic will not be impacted during the final stages of the project. The main trailhead is open to the public. Description: Bridge replacement, pavement and guardrail. Traffic impacts: Motorists can expect to encounter single lane closure and temporary traffic signals. Description: Crews will construct a bridge over the Little Black River. Traffic impacts: Motorists can expect to encounter single lane closures and temporary traffic signals. Description: Crews will resurface the highway and install guardrails. Traffic impacts: County T will be closed to through traffic from Maplehurst Lane to Burma Drive. No posted detour. Traffic Impacts: Riphenberg Road will be closed for the project’s duration. Description: Crews will reconstruct culverts along the highway. Various road features will be installed to reduce the impact of erosion. Traffic Impacts: Motorists can expect to encounter temporary flagging operations. The southbound shoulder of US 53 will be closed to provide access to the project site.